Taylor said that the light based 3D printer is able to create objects that are smoother, more flexible and more complex than those produced with traditional 3D-printers. It can also encase an already existing object with new materials – for instance, adding a handle to a metal screwdriver shaft. “The fact that you could take a metallic component or something from another manufacturing process and add on customisable geometry, I think that may change the way products are designed,” he added. Taylor and the team used the printer to create a series of objects, from a tiny model of Rodin’s “The Thinker” sculpture to a customised jawbone model. Currently, they can make objects up to four inches in diameter. The group claims the technology has potentially significant advantages over other 3D printing techniques – which typically build up 3D objects layer by layer, often leads to a “stair-step” effect along the edges. 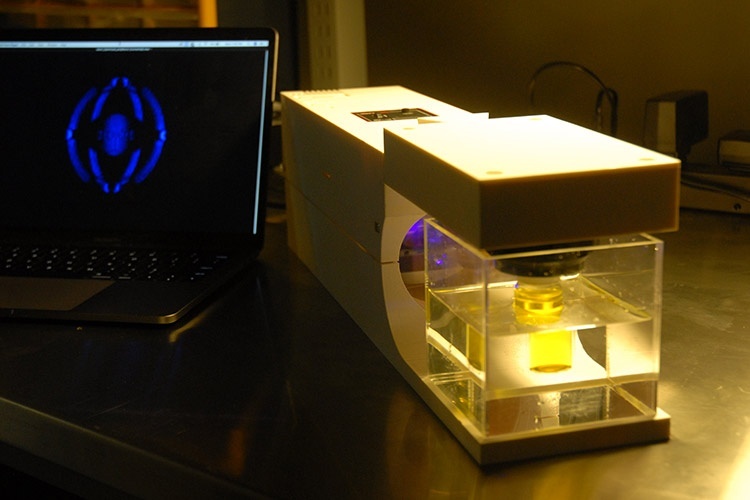 The light based 3D printer was inspired by the computed tomography (CT) scans that can help doctors locate tumours and fractures within the body. CT scans project X-rays or other types of electromagnetic radiation into the body from all different angles. Analysing the patterns of transmitted energy reveals the geometry of the object. 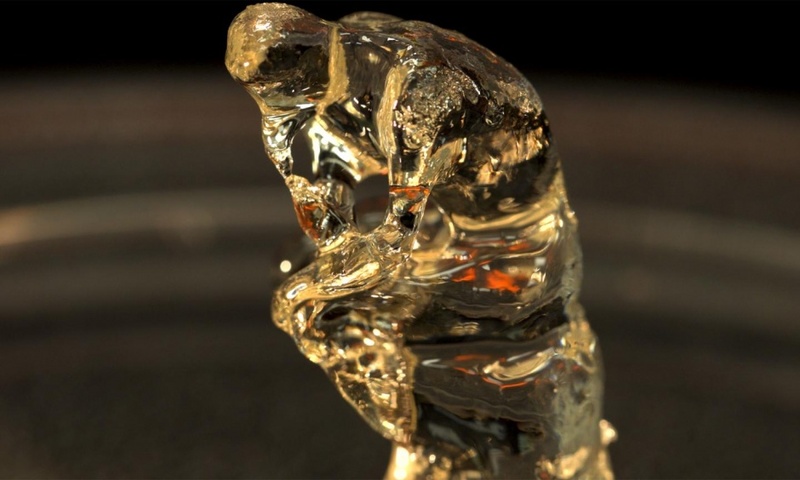 The 3D-printing resin is composed of liquid polymers mixed with photosensitive molecules and dissolved oxygen. Light activates the photosensitive compound which depletes the oxygen. Only in those 3D regions where all the oxygen has been used up do the polymers form the “cross-links” that transform the resin from a liquid to a solid. Unused resin can be recycled by heating it up in an oxygen atmosphere, Taylor said.